Rumours have emerged that Derby County could be about to invest in a second Spanish defender. They are running the rule over Jesus Garcia Tena, a twenty four year-old currently with Scottish Premiership side Hamilton Acedemicals. Tena's experience in British football would stand him in good sted, and the Spanish connection may certainly help new signing Raul Albentosa settle in quickly. 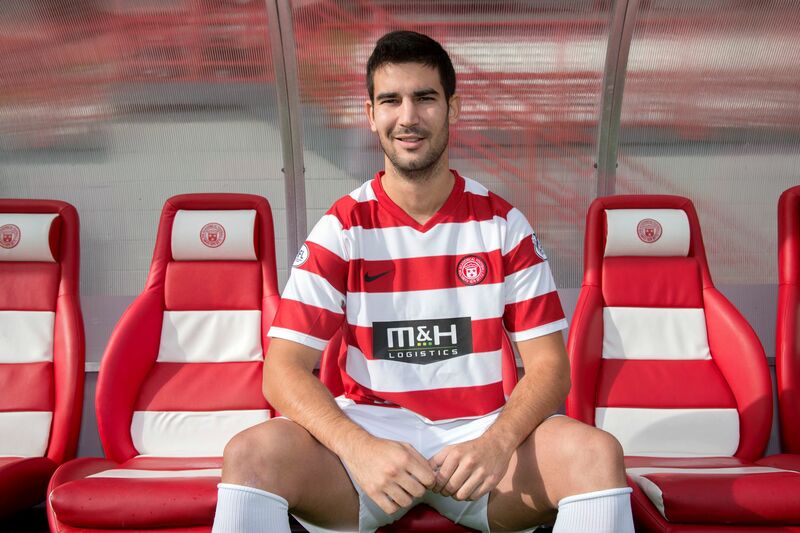 The Defender has been in Scotland since signing for Livingstone in 2012, before moving to Hamilton in 2013. Presumably in the three years he has picked up a smattering of English, which again could be invaluable to interperate for Albentosa, who speaks little or no English. A product of Juventus and Espanyol in his early years and standing 6 feet 3 inches, he certainly looks to have everything the Rams may be looking for. The only fly in the ointment could be Tena just signing a new contract recently, which does not expire until May 2016.